Denver serves as an excellent gateway to the wonders of the nearby Rocky Mountains. Here are just a handful of must-see attractions, gorgeous scenic drives and mountain town adventures, all within two hours of The Mile High City. Make Denver your basecamp for exciting day trips and explore the best places to visit near Denver. A picture perfect setting with flawless all-natural acoustics 70 million years in the making, Red Rocks Park & Amphitheatre is a true Colorado original. In addition to its blockbuster summer concert series (everyone from the Beatles to U2 has played here), Red Rocks is open year-round, featuring the Red Rocks Performers Hall of Fame and the Trading Post Loop Hiking Trail, a 1.4-mile adventure through spectacular rock formations, valleys and a natural meadow. 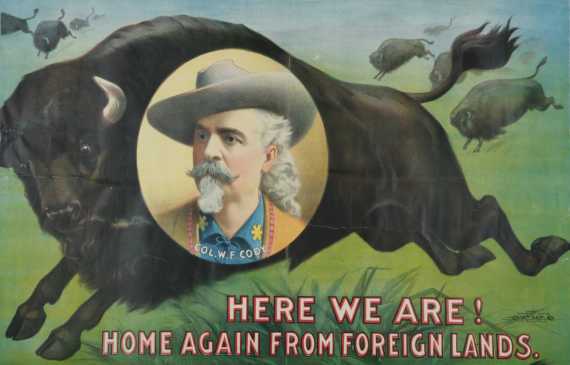 William F. “Buffalo Bill” Cody epitomized the Old West. One of the most famous cowboys to ever ride the range, William F. “Buffalo Bill” Cody epitomized the Old West. Upon his request, he was buried atop Lookout Mountain, a site boasting one of the best views in all of Colorado. The Buffalo Bill Museum & Grave, which opened in 1921, offers a look into life in the Old West, with exhibits on Buffalo Bill’s life, the Wild West shows, Indian artifacts including Sitting Bull’s bows and arrows, Western art, and firearms. The American Mountaineering Museum is a “must-stop” new attraction on your way to the mountains! From 14ers to Everest, experience mountaineering through interactive exhibits and high tech displays. Cross a crevasse, pick your route up Everest, and follow the footsteps of famous climbers as you prepare to hike in Colorado! At the Wild Animal Sanctuary, lion prides and other carnivores live in natural habitats. 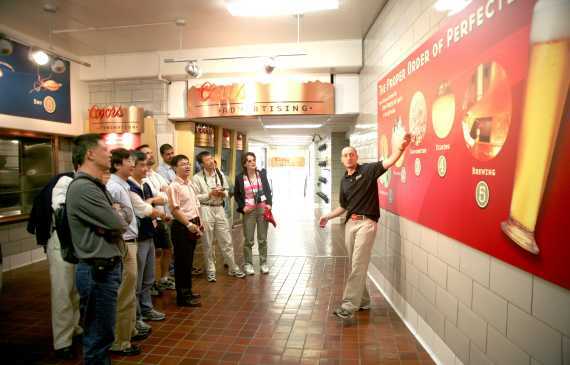 Coors Brewery is the biggest single-site brewer in the world. Take a free tour. The Lariat Loop is a 40-mile scenic circle in the foothills west of Denver, Colorado connecting the communities of Golden, Morrison, Lookout Mountain, and Evergreen. On the Loop, motorists encounter more than a dozen enchanting historical attractions, including the Colorado Railroad Museum, Boettcher Mansion, Lookout Mountain Nature Center, Mother Cabrini Shrine, and The Fort Restaurant. Lions, Tigers, and Bears, Oh My! Visit this 320-acre rescue and educational facility, located just 30 miles outside of Denver, where more than 300 large carnivores roam free. The Wild Animal Sanctuary is one of the only places in America where you can see lion pride and groups of other carnivores living in natural habitats. The National Center for Atmospheric Research (NCAR) is the world’s foremost attraction for learning about the 21st century’s hottest topic: climate change. The NCAR lab is open to the public free of charge seven days a week and offers a wide array of hands-on educational exhibits that visitors are welcome to explore on their own, on a guided tour, or with an audio tour. The Georgetown Loop Railroad is a reconstruction of one of Colorado’s most famous railroads, which was originally built in 1877. Steam-powered locomotives make the climb up the valley and across Devil’s Gate Bridge, giving riders panoramic views, and a glimpse into Colorado’s railroad-centric past. From the open-air viewing cars it is possible to see bighorn sheep and other wildlife. Mount Evans Scenic Byway is the highest paved auto road in North America, snaking its way to the 14,260-foot (4,346 m) summit. The road ($10 for a three-day pass) is open only from Memorial Day through Labor Day and frequently has snow on it, even in August. The view from the top takes in the entire Front Range. The summit is 60 miles (97 km) from downtown Denver. On your way up the mountain, be sure to stop at M. Walter Pesman Trail (maintained by Denver Botanic Gardens) for a wildflower hike; you won’t see anything like the rare flowers and 1,500-year-old bristlecone pine trees anywhere else in the world. The trail winds through subalpine and alpine areas where wildflowers and animals of the fragile tundra live. Volunteer guides from Denver Botanic Gardens give interpreted hikes that follow the trail throughout the summer. One of the U.S. National Park System’s crown jewels, Rocky Mountain National Park features 400 square miles of scenic beauty, including Trail Ridge Road, the highest continuous highway in the world, crossing the Continental Divide at more than two miles above sea level. With hundreds of miles of hiking trails, tranquil lakes, waterfalls, wildlife and horseback riding, visiting the Park is a truly unforgettable experience. Estes Park is a resort town on the edge of the park with restaurants and shops. As its name hints, Evergreen is a pine tree-surrounded escape. A picturesque alpine lake is located right in town, with paddleboard, kayak and (in the winter) ice skate rentals available. You’ll also want to hike the trails at Alderfer/Three Sisters Park — once a working ranch but now a hiker’s paradise — and Flying J Ranch Park — formerly a runway for the area’s onetime landowner but now a boon for hikers and bikers, with peaceful meadows, forests, and wetlands. Historic downtown Evergreen is nestled right into the area’s natural landscape and boasts a number of art galleries, shops, and eateries. Spend the day golfing, hiking beautiful nature trails, touring small local museums, relaxing at day spas or catching a local theater performance. Summit County offers some of the world’s best skiing, just a little more than an hour west of Denver. But the area is also a splendid summer resort destination. Breckenridge is a 130-year-old gold mining town filled with colorful Victorian buildings that now house shops, cafes, and restaurants. Copper Mountain is a modern ski and summer resort offering all forms of outdoor recreation, from golf to tennis to snowboarding and cross-country skiing. Dillon/Silverthorne is a lovely pair of towns built on the shores of Lake Dillon. The area offers factory-outlet shopping in more than 100 stores. Frisco is yet another old Victorian mining town that has been restored but still retains its Old West atmosphere. Keystone is a year-round resort that offers all kinds outdoor adventure, along with five-star dining. Vail is just a short drive from Summit County. This world-famous resort offers a European-style mountain village lined with shops and outdoor cafes, as well as the largest ski mountain in North America. Located in a lovely mountain setting, this year-round resort is as delightful in summer as in winter. During ski season, Winter Park Resort boasts more than 29 feet of annual snowfall. It is Colorado’s longest continually operated ski resort featuring over 3,000 acres of award-winning terrain including groomers, terrain parks, bumps, steeps and trees. All of this terrain is strewn across the Seven Territories all accessible on one pass or ticket: Winter Park, Mary Jane, Parsenn Bowl, Vasquez Ridge, the Cirque, Eagle Wind, and the Terrain Parks. Summer attractions include Colorado’s longest alpine slide, the GyroXtreme, scenic chairlift rides on the Zephyr Express chairlift and mountain biking galore. 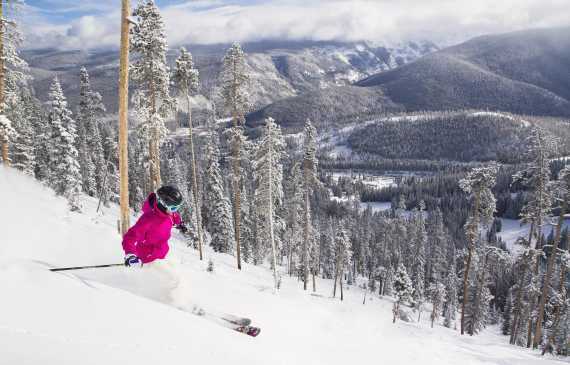 During ski season, Winter Park Resort boasts more than 29 feet of annual snowfall. Some of the best river and lake fishing in Colorado is found here, with the South Platte feeding into Antero, Spinney, and Elevenmile reservoirs. Snowmobiling, snowshoeing and cross-country skiing are all popular winter activities in Fairplay and South Park. South Park City Museum is a remarkable restoration of a 19th-century Colorado mining town. Wildlife viewing is a nonstop attraction, with antelope, mule deer, elk and more often spotted. Ghost towns abound in the area surrounding South Park, offering a glimpse into forgotten Colorado history. Royal Gorge Bridge & Park is the world’s largest suspension bridge, spanning the Arkansas River at a height of 956 feet (320 m). Admission includes an aerial tram trip and several rides and attractions. The Royal Gorge Route Railroad is a 24-mile round trip train ride through the base of Royal Gorge on a route that has been called the “most arresting scenic site in all of the American railroading.” Rafting on the Arkansas River is conducted by numerous companies offering rafting and kayaking on one of the best stretches of river in the state.